Securing the internet of things should become a major priority now that an army of compromised devices – perhaps 1 million strong - has swamped one of the industry’s top distributed denial-of-service protection services. 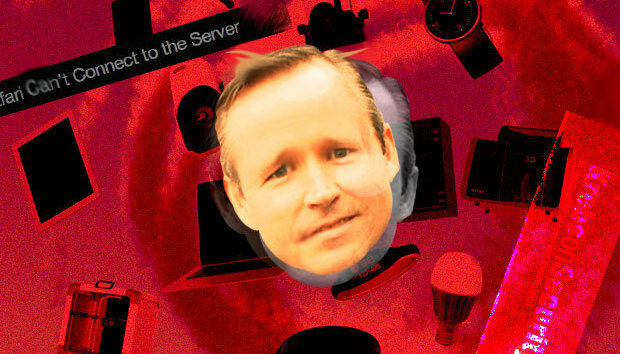 The delivery network has dropped protection for the Krebs on Security blog written by Brian Krebs after an attack delivering 665Gbps of traffic overwhelmed his site Tuesday. The size of the attack was nearly double that of any Akamai had seen before. An IoT botnet generating this much traffic is a bellwether event that Ellis says will take some time to analyze to come up with more efficient mitigation tools. Its impact is similar to the 2010 attacks by Anonymous using the open source, low-orbit ion cannon tool, or the 2014 DDoS attacks launched from compromised Joomla and WordPress servers, he says. The lesson for enterprises is that the DDoS protections they have in place need to be tweaked to handle higher attack volumes, he says. The massive Krebs on Security assault is the work of a botnet made up primarily of internet of things devices, according to Akamai. So many devices were used, in fact, that the attacker didn’t have to employ common tactics that amplify the impact of individual devices, Ellis says. With estimates of 21 billion IoT devices by 2020, the scale of botnets that might be created by these relatively unprotected machines could be enormous, says Dave Lewis, a global security advocate for Akamai who spoke Thursday at the Security of Things Forum in Cambridge, Mass. “What if an attacker injects code into devices to create a Fitbit botnet?” he says. Researchers have already shown it’s possible to wirelessly load malware onto a Fitbit in less than 10 seconds, he says, so the possibility isn’t fantastic. A lot of things about the attack are still unknown such as who’s behind it and what method the botmasters used to infect the individual bots. Ellis says some other providers Akamai had contacted report similar but smaller attacks likely from the same botnet. Many of them were aimed toward gaming sites, and Krebs has written about such attacks, so there may be a connection there, he says. Akamai will analyze the attack and devise tools to fight similar attacks, Ellis says.